Digital evolution is dominating human race where adoption of new technologies to make life style easier turning into a necessity. Graphic pen display has major contribution in digital creativity and is projected to witness promising growth in the near future. Graphic pen display product works on the principle of electromagnetic induction which provides accuracy and precision in art mainly in 2D and 3D animation. Adoption of graphic pen display technology in online education has captured the entire digital market. Furthermore, introduction of active electrostatic pen technology by leading players like Wacom provided a new vision to the digital market. Collaboration of cloud computing with digital graphic display is rapidly expanding the mobile platform and is expected to bring new business opportunities for graphic pen display market in the near future. Industry players are mainly focusing in the improvement and integration of hardware and software solutions for capturing digital data using graphic pen display. Apart from multiple touch technology, key vendors are investing on research for the development of digital ink and use of graphic pen display in CAD software for electronic designing. Moreover, availability of products with unique features such as EMR (electromagnetic magnetic resonance), pen ID for use via cloud & wireless digital pen has accelerate the trend in adoption of digital pen technology. The global graphic pen display market was valued at USD 106.4 billion in 2016 and is expected to reach USD 171.13 billion by 2024, at a CAGR of 6.12% during the forecast period. North America is the dominating region for graphic pen display market and occupies 43% revenue share of global graphic pen display market in 2016. Asia-Pacific is the second largest market with 36% share of graphic pen display market in 2016. Europe and Middle East is projected to have a significant growth over the forecast period. In terms of devices, Graphic Tablets are the dominating segment of graphic pen display market and is expected to dominate over the forecast period owing to its high sales across the globe. In 2015, graphic tablets occupied 35% revenue share of global graphic pen display market whereas pen tablet monitors and smart pads captured 26% and 22% respectively. Graphic pen displays are preferred over portable tablets because of their bigger size, better precision and sensitivity. 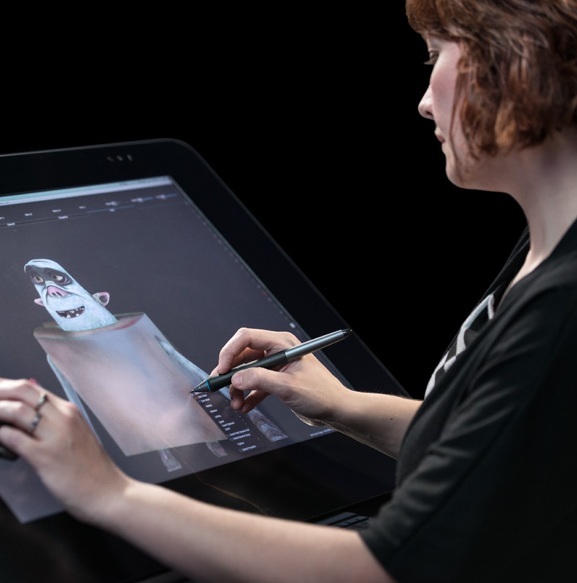 Touch accessibility, ease of handling, shortcut features, simple setup and quick response are key factors encouraging the demand for graphic pen displays. Moreover, involvement of graphic pen display technology in online education media is becoming a new digital trend, results in rapid growth of graphic pen display market. Screen display and writing space is also a major concern for children using graphic tablets between 7 to 10 age group. Lustrous screen of graphic pen display affects the work environment and productivity. Best quality graphic pen displays comes at higher price, which hinders its sales and adoption rate in developing and under-developed economies.